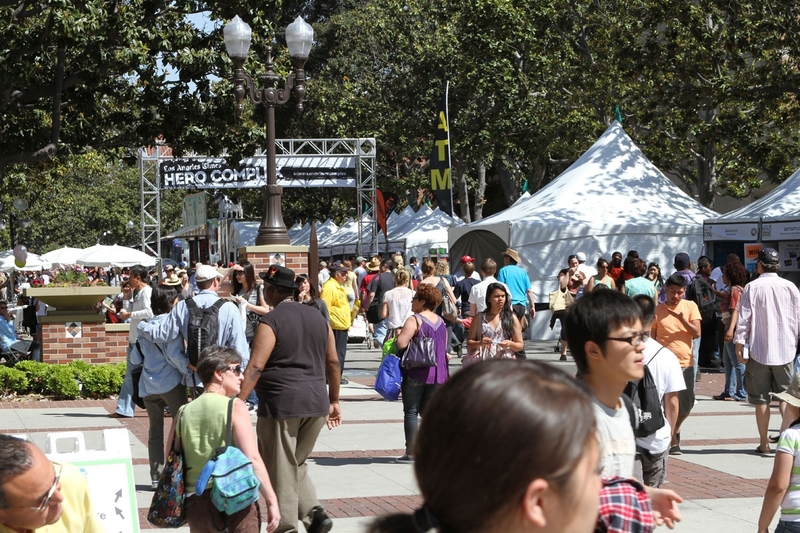 Last weekend, I attended the LA Times Festival of Books, which I think may be the best book fair in the country. I was concerned because after years of being held at on the picturesque campus of UCLA; this year it moved across town to USC. I’m happy to report that the folks at USC did a tremendous job of hosting the fair and the change of venue ultimately turned out to be a non-issue. The death of the bookstore has been greatly exaggerated: While recent headlines seem only to report about the struggles of national book retail chains, behind the story a revival of sorts is underway with the independents, as a number of them are thriving. 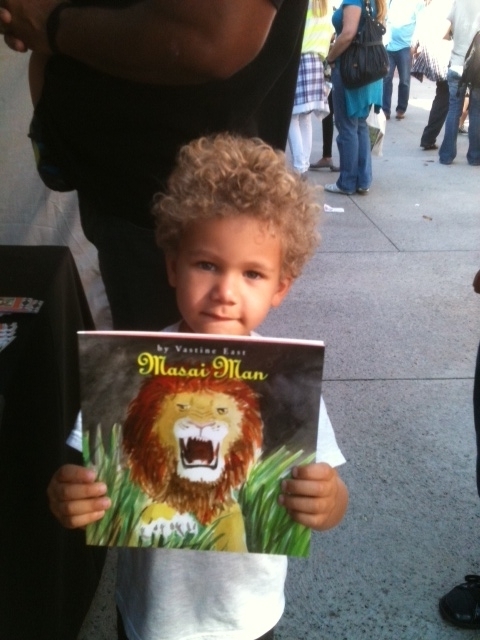 There were constant crowds at the Vroman’s tent; and the Book Soup tent was equally popular. In fact as I travel the country, I’m finding independent stores like Booksandbooks in Miami; and others I’ve visited in Austin, Texas, and St. Louis are succeeding by playing the role of community gathering places. Selling books is certainly an important part of what they do, but the books also serve as a reason for people of like interests to to gather and interact. The independents aren’t going away anytime soon! Children may like apps, but they still love printed books: I saw it time and time again. 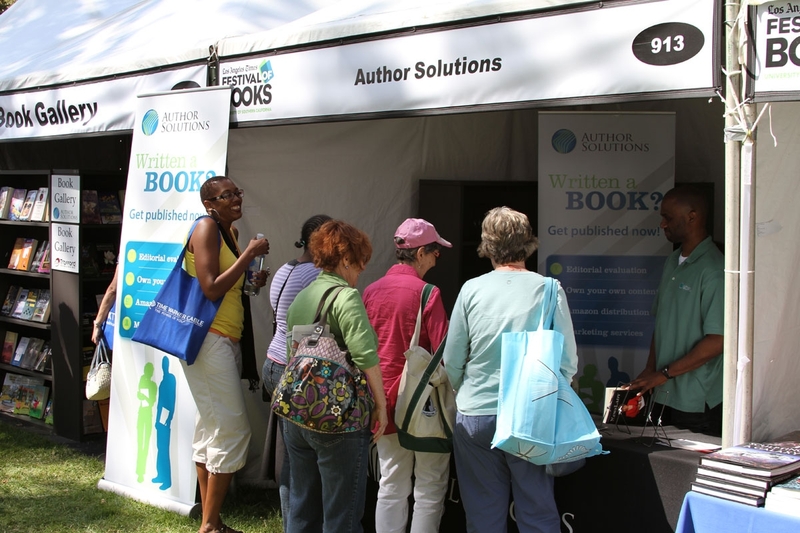 During the dozens of author signings Author Solutions hosted throughout the weekend, the longest lines included kids waiting with their parents to meet an author and get a copy of a book. There is hope for books and reading after all! That said, I think an opportunity exists for more authors to focus on writing books that appeal to young boys. In my opinion, there is a huge need to reach out to these young readers so that the love of reading takes root early. Indie book publishing continues to pick up steam: While most of the people featured on the stages were traditionally-published authors, the interest in Indie book publishing continues to grow. More and more authors realize there is no reason to wait at the mailbox for an acceptance, or rejection letter, when you can get your book to readers now. The numbers bear it out – indie publishing is now the rule not the exception; but it really hit me how popular it’s become as I spoke with even more authors who are deciding to take control of their works. As usual the LA Times Festival of Books was a fantastic event. If you are a book lover, I highly recommend a visit to this fair. → Here’s what makes self publishing so great and so hard.